The NBC10 Boston Investigators will be watching Tuesday's races very closely to make sure every vote counts. Our journalists have teamed up with the ProPublica Electionland Project which aims to track problems that prevent people from voting. Watchdog groups in Massachusetts reported Tuesday the election was going smoothly for the most part in Massachusetts by mid-afternoon. There were, however, some issues with voting machines breaking down in Boston, Lawrence and Lowell. Pam Wilmot, the executive director of Common Cause, told the NBC10 Investigators that election officials responded to calls to fix or replace the broken machines. 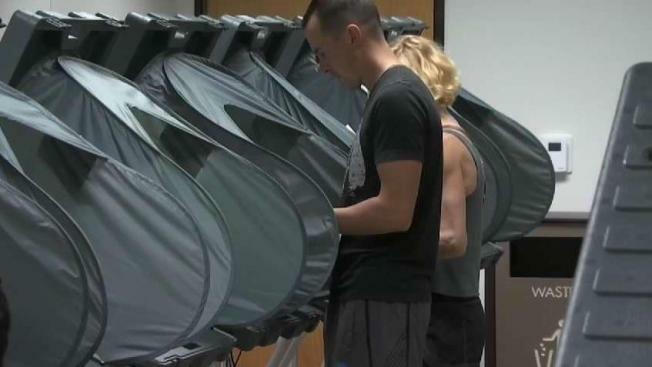 While most machines were fixed or replaced, some voters were turned away rather than being given a provisional ballot. There were also long lines and waits of an hour or more at some polling places during peak voting hours in the morning, including Cathedral High School in the South End and the YMCA in Chinatown. But the wait was still nothing compared to the three hour waits to vote in Boston in 2012. On this election day, Lowell and Malden, Massachusetts are among 35 places in 19 states being monitored by the U.S. Justice Department. A press release from DOJ says staffers from the Civil Rights Division will be at the polls watching if voters are subjected to different voting qualifications based on race and accommodations for voters with disabilities. In Lowell, ballots must be available in English, Spanish and Cambodian. In Malden, materials must be provided in English, Chinese and Taiwanese. NBC10 and necn have teamed with ProPublica's Electionland which is monitoring elections in New England and across the country. If you see problems at a polling place—issues like long lines, registration problems, purged voter rolls, broken machines, voter intimidation and changed voting locations—you can tell us, or our partners at ProPublica's Electionland. Phone: Call the NBC10 Boston/necn Election Hotline at 617-630-3354 to report issues directly to us.